At Total Aesthetics ™, we believe that aging should be beautiful and a healthy, smooth, glowing skin is a cornerstone of this process. Your skin is carefully analyzed and your treatment and maintenance goals are reviewed and monitored in a comfortable spa-like atmosphere. Utilizing the latest in FDA approved skincare products in combination with office-based non-surgical procedures, we’ll design a customized medical skin care program to help you achieve your unique goals – and yes Botox®, Restylane®, and Juvederm®, personally administered by Dr. O’Connell, are part of the program! 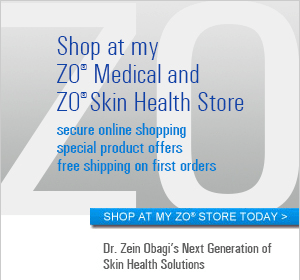 Did you know that ZO® Skin Health, the new line of skin care developed by the legendary dermatologist, Dr. Zein Obagi, is the world’s fastest-growing skin care line? Dr. O’Connell recently had the privilege of spending two days with Dr. Obagi at his Beverly Hills headquarters and we believe that the products from ZO Skin Health are unsurpassed for achieving and maintaining healthy, glowing, beautiful skin. ZO® products utilize the latest advances in skin technology including unique delivery systems, bio-engineered complexes and exclusive formulations to provide continuous skin health for all skin types, genders, and ages. Through selective use of ingredients such as growth factors, retinol, peptides, antioxidants, and botanicals, the ZO lines repair skin at the cellular level and serve as a comprehensive solution for therapeutic, preventive, and daily skin care. Peels and laser treatments can be added for additional correction. ZO® Skin Health even has products for acne, melasma, and rosacea, as well as a non-medical line for younger skin before those visible signs of skin aging appear. Beautiful skin is within reach and as our staff will attest, you WILL see results! What Makes Total Aesthetics ™ Different from other practices that simply sell ZO® SKin Health? Dr. O’Connell has actually apprenticed with the legendary Dr. Zein Obagi at his Beverly Hills headquarters. We Offer complimentary complexion analysis with Canfield’s VISIA® system so you can set your goals and track your progress. Our staff (including Dr. O’Connell!) participates in ongoing training with ZO® Skin Health to ensure you’re getting the latest products and concepts from Dr. Obagi. 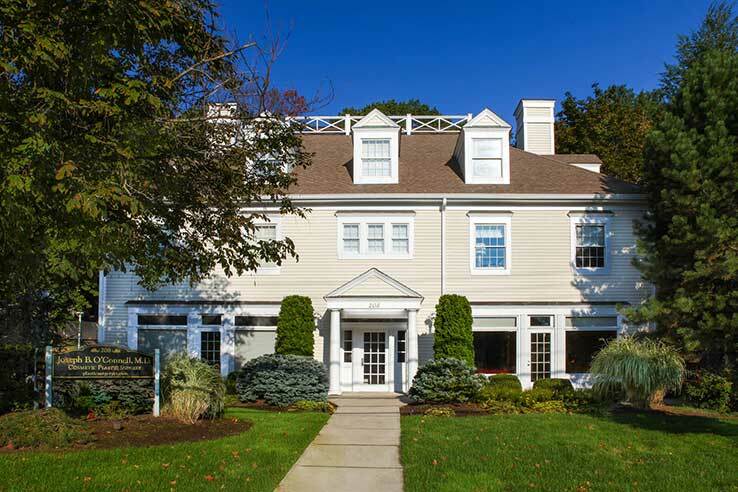 We maintain a full selection of ZO® products on premises at all times. ZO® 3-Step Peel – A rejuvenating and restoring peel that supports the ZO® systems to enhance their benefits. This is a medical grade peel suitable for all skin types to improve color tone, texture, and smoothness and also stimulate cellular function for greater benefits. This peel is applied in the office and includes Retinol Crème Complex to confer longer-lasting benefits than ordinary peels. Revitatrol™ Epidermal Repair Cème Skin Protectant is also included. Peeling is mild with minimal to no downtime. Retin-A – We stock a variety of strengths and preparations of Retin-A including ReFissa®. Silagen Scar Therapy – This FDA approved scar gel contains zinc oxide sunscreen to simplify your daily routine while treating a scar.